Vik Muniz was born in São Paulo, Brazil in 1961, and splits his time between Brooklyn, New York and Rio de Janeiro, Brazil. His images range from photographs to installations, and he is most known for using a myriad of materials to create them, such as chocolate, toys, and garbage. Muniz’s artwork often draws inspiration from other artists, which he then replicates into new forms. He was featured in the Academy Award nominated documentary film Waste Land, which follows his work over the course of two years in relation to garbage pickers at a garbage dump near Rio de Janeiro. Muniz shot an exclusive new iPhone images with the Schneider iPro Lens for Musée’s Breaking Tradition issue. Muniz has exhibited in his native Brazil and his new home of the United States, as well as other parts of the world. His shows include “Home Alone” at Claudio Botello Arte in Turin, Italy; “Some Assembly Required” at the Art Institute of Chicago; “After Warhol” at Xippas Gallery in Paris; “Pictures of Junk” at Rena Bransten Gallery in San Francisco; and “Pictures of Garbage” at Arndt & Partner Gallery in Zurich, Switzerland. He has created many series of work, such as the 1997 “Pictures of Chocolate” that includes an image of psychoanalyst Sigmund Freud composed completely in chocolate, the 2004 “Caviar Monsters” with images of popular monsters made entirely of caviar, and the 2008 “Gordian Puzzles” that displays well-known prints in puzzle form. Is there any project that you have done, that you would like to redo? As I get older, I think “if I could redo everything I probably would”. That way I can learn certain things about a technique or a process, and apply it to the next piece until it’s saturated. On the work that you get to experiment with, you’re making constant, gradual, incremental improvements. As you grow a little more patient, you start to realize that the original ones look really fascinating because they are the beginning of the research. Though they are not perfect, they have freshness within them, while sometimes the repetition and the process impregnate the work. The moment when I start to become really good at something is when I start to abandon it. I wish I could go 20 years back and see again how I started. It’s very subjective and very personal. You take a different type of pleasure for different types of processes. For example, pigment – you don’t see it. It has to go through an enormous amount of time and effort to get something that sort of becomes embedded, almost invisibly, within the work. Sometimes you do something that isn’t very rewarding, but at the end, you see the result and you are really happy. Sometimes things are just pleasurable. Normally there is a balance between these two situations, which is the best when you get something that was on the border of what was possible. Which ones are like this, the Earth Works? No, it’s more like the stuff that I am doing right now; I am ripping up pieces of magazine and putting them together. After having done the Garbage pictures, which became an intoxicated visual environment, it turned into the same thing physically with the material of rubbish. Now I am doing visual rubbish. It’s a reduction in terms of scale and material, but conceptually it’s similar. The two actually build up where every single input that we have is so polluted with references. It’s impossible to recreate the concept just with the references. It’s fun to do it and it’s hard as well, but when you finish, you have a feeling of accomplishment. Do you have a preference for whether people call you an artist or a photographer? Normally I say that I am a photographer when I’m going through passport control. They assume that you have a technical profession. They don’t ask questions, or don’t think that you are a cross dresser, or a cabaret dancer, or anything like that. If the police ask you, and you say that you are an artist, they start to be very sarcastic about it. No, it’s totally beyond the point to think that these two make a stigma of art in photography because we never really had so many people that have worked on it since the 19th century. I don’t really differentiate between commercial art and fine art. I think that this is all an official market strategy just to create value in a different way. Roberta Smith had said that you “have the impunity to straddle the commercial world with the fine art”. How do you feel about that? The moment that you start talking about art, pre-conceived notions of things like hierarchies or structures that really get in the way are immediately derived. I care about the history of iconography in general – this goes for commercial art as well. We make objects for the art world that obviously have specific qualities attached to them, such as: materiality, physicality, value and scale which encourage people to preserve them or to live with them. My first job was designing and placing billboards. When you deal with that, there is a certain angle of approach. You’re dealing with the same dynamics that people are subjected to when they are going to look at pictures in a museum. The idea of proxemics, for example, considers whether you attend a show with a lot of people, if you’re able to walk back and forth, or the distance and relationship between the size of the works and the room which they are in. This all fascinates me because my artwork is made to be put on a wall and it takes full advantage of the process of approximation, which I’ve learned commercially. I get the whole “real artists don’t work on commission” thing, sure. Except artists like Michelangelo, Rembrandt and Tisch all did. I mean it’s a job, sometimes you have to do what you’re told. How does that affect your work? Does that effect any decisions about what you are going to do, your next series, or the size of your work? My models are still based on a 70’s formula: when there was a shortage of money, the artists felt that they had to spread the knowledge about what they were doing, and they resorted to multiples. Before the 70’s, there was no vintage work, people didn’t put editions numbers or anything. The idea was to spread the work as much as possible and try to create a controlled spread of editions. You want the market to be able to absorb your work. It’s a delicate relationship between price and the ability to be able to market well. I’m a bit of a populist I think. Sometimes I get into other activities like magazine making, editing, curating, or writing because it’s also a way for you to branch out away from the studio – it’s also very refreshing. Do you care more about the aesthetics of your work or communicating something about your work? These things have certain reciprocity of concept between communications. You can be an artist in the world but if you don’t show your work to anybody, then nobody will know who you are. You have to be able to communicate what you do, but you have to be good to begin with. I’m not interested in producing masterpieces; I’m interested in working in series. I really see the works as a cinematic progression of frames. I don’t believe in the revolutionary aspects of art, but the evolutionary aspects of it. It grows gradually as you pay more attention. Normally every artist does this, they find a groove and they realize that it’s sort of like a language they found. Roberta Smith also said that your work has an optical richness and a physical texture. This is what they call “haptic”. It’s not physical, but it generates the sensation of tact – a tactile experience. You can engage someone optically, or in other senses like smell, taste, or touch. My work has ambition because photography has the ability to do that, especially when you work with certain technical competence. My photography is very simple; I aim for the highest resolution and sharpness. Compositionally, it’s also something that I try to do as simple as possible. You’re extremely resourceful. I would imagine that comes from your background, or was this something that was also thought out? I like to work a lot. I come from a very poor family in Brazil and I am the only child. I have to take care of my parents, and I have four kids, so I am always running around. My son, who is in advertising, was saying to me recently, “Do you think you need to be somewhat tortured to be able to produce art?” and I said “Yes”. He asked, “How do you do it? You live so well.” I said I live in fear of not having these things anymore because I am also very materialistic, yet I am fearful of not being able to provide for my family or being able to take care of my parents. When I met my wife we had been together for two months when she told me that she was pregnant. I used to work as a framer and I was just starting my career as an artist. I was never going to able to support my son with a framers job on seven dollars an hour, so the art thing was going to have to really do it. I love what I do. Being as resourceful as I was growing up, I never thought that people would pay me to have ideas. I like the idea that I could go to a museum like the Art Institute of Chicago and look at this art and ask “can you take this off of the wall for me? I would like to take a picture of it.” And they say “okay”. I would have never thought this would be possible. In your 2003 TED presentation you spoke about what creation vs. creativity is. Can you explain what you meant by that? Creation is something that represents a graspable portion of what we can observe, but cannot understand. Creativity is how we cope with creation; it’s how we invent languages, motifs, and patterns to actually help us navigate in an otherwise really complex structure of events and situations. All we do is try to cope, ultimately. Creating opened ended structures, and ways in which you can approach or think about reality, is the ultimate role of the artist. You have to be very dedicated to the concept of Realism. Realism is the negotiating between what you know, what you are able to grasp, and what is actually there. You think about realism in the terms of Gustav Courbet, who was using this term in a post-photographic context. Can you actually call a painting a realistic painting, even after photography was invented? That’s the kind of realism that I’m speaking of. I still see my work very similar to an easel painting like that of Poussin or Gould. A 21st century landscape is riddled with signs, and is no longer pure. Each visual input comes completely loaded with references and cross-references. You can Google something and it’s there. It creates this immediacy of time; we are living in a world of holographic complexity. If you are an artist, you have to assert that kind of complexity to what you are doing. My sources are more primitive, they are visual puns, optical illusions, and commercial art. Who helped you most in your career? The people who were brave enough to say that this was good. There was a Swiss sculptor named Not Vital. He came to my studio and bought a few pieces. He asked me to price it, which I had no idea how to do. He introduced me to a few curators in the city at the beginning of the 80’s.The scene was different then, my neighborhood had tiny galleries that start sprouting up everywhere. There is a point in your life you start sensing the post of your generation coming up. It’s an active element of society; you see people your age making big decisions or becoming politicians and key business figures. When I started going out into the galleries and seeing works of Cindy Sherman or Jeff Koons at the time, nobody had to explain to me what Cindy Sherman was doing – I just knew it. When I saw Koons’ work, I realized that I could use a lot of what I do to make art. I was born in Brazil and most of my work comes from the iconography of my lifetime. In the 60’s and 70’s when I was most absorbed in things like pop, two key figures were Warhol and Beuys. I think about minimalism and post-minimalism. I like photo-realism. Other than that, I look at the political paintings a lot. I’d make trips to Mali and look at primitive art. One thing you should have as an artist is a lot of courage, in order to put your ideas out and not be ashamed of them. You shouldn’t have any prejudice, especially visual prejudiced. You are very open to the idea of shooting with the iPhone. How did you feel when I asked you if you would do it? It’s an interesting proposition. I used to teach a class at Parsons and I had a window that would look down 5th ave. I used to ask my class, “What do you see down there?” and they would say “Taxis”. I would reply “There are 15,000 cabs in New York City, and there are 18,000 photographers – most of them are cab drivers”. Anyone can take a picture, but what makes one picture better than the other? It’s fascinating that everyone is sort of a critic and an editor. 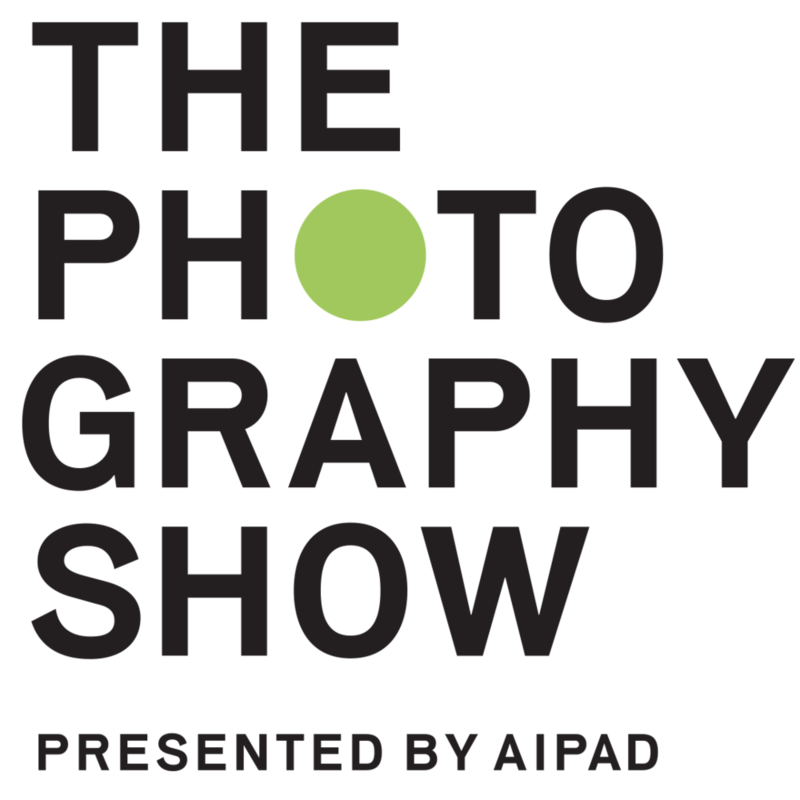 I went to this lecture at AIPAD during the exhibit, and the panel was Chris Phillips from ICP, Sarah Meister from MOMA, and Joshua Chuang from Yale. Someone in the audience said “what do you see with the trends now?” Chris said it was the iPhone, because everyone has one now. I’m agreeing with what you are saying, that we are going to see what’s good and what’s bad. The fact that everyone basically has an iPhone makes everyone aware of the limitations of the iPhone. When I started working in September at MIT, the arrays of digital SLR’s allow you to make instantaneous stitching, and you can bend the plane of the cameras so that you can achieve different focal structures. So basically like a Lensbaby? Exactly. You can put together about 9 or 16 cameras, make pictures of a resolution that is extremely insane, and you can only do it that way. Although the practice of the popularization of the iPhone camera also gives people an understanding of photography that they didn’t have before. They know now that this picture is awesome because it was taken in such a specific way that makes it so special – they know that it couldn’t have been taken with an iPhone. I think generating digital technology was sort of the ghost of painting that came back to haunt photography with a terminology that was known as a “hue tone”. In Photoshop, it’s all of the stuff that painters used to talk about at the turn of the century. The ability for people to make pictures and to work on their own pictures also increases their ability to see the world. Things that are particular to photography will become more present with the popularization of the medium through the cell phone. These “smart phones” can pinpoint the location, recognize faces, and they can create all different types of visual interface that not even I can envision in my wildest dreams. The fact that you can stitch every single picture taken in the world, if they are pinpointed location and uploaded into a server, you can actually have the whole world shown to you in photographs. On one end it’s an amazing thing, but on the other is the total idea of transparency that creates a sort of blindness. The idea of connection gives a false feeling of knowledge and placement of security. What advice would you give a photographer who is just starting out? I always say that when you look back after 20 years of making work, it feels like what you are doing now has a straight line. From the first drawing that you made as a kid, everything becomes meaningful. It can be very flexible though, which is the disclaimer in this. The complete possibility of curves, lines, and detours were infinite because I had the whole world in front of me. First of all you need to be good to yourself. You can do anything you want, but be mindful that you are going to be narrowing possibilities, and the paths that you take will allow you to go far. Sometimes the first thing that usually comes to your mind is what gives you pleasure in doing it. I see young photographers and young artists conform to certain entry points of the marketplace that is pretty much the same. Self-portraiture for instance is something that you see too much of. Also, it runs with the idea that if you’re an African American artist, you’re only going to do art about African Americans – this is totally preposterous. You could do Eskimo art and be South African; it doesn’t matter. You have to see what’s useful for yourself. There is a significant difference between making art and being an artist. You said that “A Child’s Head” by Peter Paul Ruben inspired you to be an artist. What about it inspired you to be an artist? I was into commercial art and I was thinking that I would probably do something with television or theater; art that is able to communicate to a wider audience, simultaneously. I went to a show at the MET which was called the “Prince Collection of Liechtenstein” in the early 80’s. I remember going through these Rubens paintings that were intended for a very larger social area, like a palace. I kept thinking “this is why I’m not a painter”. In another room there was a line of people. When you come to a painting, you stop at a certain moment where the border of the painting fills your visual field. Normally there is always a place where you stop to look at a painting, and in this case there was a line. Everybody stopped at the same place and looked at a portrait of his daughter. When you paint somebody that you know well, you tend to go over certain imperfections like the symmetries and so on. He was such a great artist, he painted her without the symmetrical discrepancies that every face has. For some reason, the painting comes alive because of that. It looks like she is bursting at the painting and it is so beautiful, but you can only see it from one point. At that point I realized that this is something I wanted to work with: the approach of an image that changes when you come closer to it. What rules didn’t you follow about making it in the art world? Being a hypocrite, creating a sense of exclusivity, or having a superior knowledge. Thinking that your ideas are beyond the intelligence of the public is something that I never really believed in. The intelligence of art should be intelligent in its accessibility. There is a lot of art that is based on exclusivity, and this is something I don’t subscribe too. Good art is good for everybody.